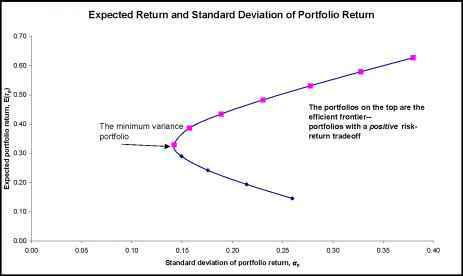 The Reward-to-Risk Ratio What is the slope of the straight line in Figure 13.2A? As always, the slope of a straight line is equal to "the rise over the run." In this case, as we move out of the risk-free asset into Asset A, the beta increases from zero to 1.6 (a "run" of 1.6). At the same time, the expected return goes from 8 percent to 20 percent, a "rise" of 12 percent. 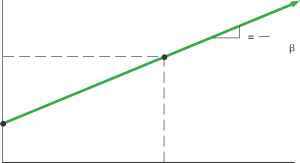 The slope of the line is thus 12%/1.6 = 7.5%. What this tells us is that Asset A offers a reward-to-risk ratio of 7.5 percent.2 In other words, Asset A has a risk premium of 7.50 percent per "unit" of systematic risk. The Basic Argument Now suppose we consider a second asset, Asset B. This asset has a beta of 1.2 and an expected return of 16 percent. Which investment is better, Asset A or Asset B? You might think that, once again, we really cannot say—some investors might prefer A; some investors might prefer B. Actually, however, we can say: A is better because, as we will demonstrate, B offers inadequate compensation for its level of systematic risk, at least, relative to A. 2This ratio is sometimes called the Treynor index, after one of its originators.